Hi Steph, I’m playing through the game as quick as I can, I’ll have more answers up this week! 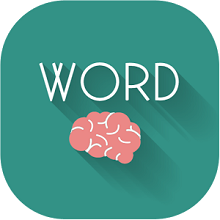 If you need any help let me know I’m on word mastermind now – nearly finished! Word savant literature level 4. Please tell me you know the answer. I’m close to throwing my phone! I am on word legend level 4 in entertainment and have two words in the puzzle the same . Game won’t let me play two words the same ( Music ) is the word . So frustrating… Hubby playing the game as well and on the same level as me and he only has one music in his. How can this be fixed? Please message me at cindyjordan64@gmail.com. thanks. You are a legend Lanna, thank you so much! I just finished all the Prodigy today and I am uploading them now… this game gets hard! Oh well done! I’m struggling with crime. I have relied so much on you so far in this game and you are right… It does get harder! Magician, entertain, applaud, balancing, awe. Gymnast, dance, trampoline, spectator, magic. Horse, children, ticket, trainer, trapeze, fun. Great, thanks Sue 🙂 I’ll add up a new page for Biology shortly! Thanks so much Em, a big help! Keep posting if you can and I will create new pages for these answers! lvl 1: cotton, silk, rubber, padding, cashmere, motif. lvl 2: fur, dye, polyester, nylon, leather, tape, braid. lvl 3: velvet, chiffon, needle, tweed, denim, factory. Perfect, thanks Bob 🙂 I’ll add a proper page for Brainiac shortly! Wow, you are going great, I’m going to finish Brainiac tomorrow and post the pages for it. Then I’ll be up to Savant too! Word brainiac, textile level 4 anyone? Really stuck on in the north, any help?? In the north glacier,mountain,reindeer and then I’m stuck! can someone help me I am up to word prodigy occupations level 4. I have all the words but i end up with hairdresser with an R in the wrong spot, anyone else have this issue??? Hi Kelly, see the page again, I’ve added some better instructions. Christine, I’m putting up those answers in the next day or 2! have you done literature level 4 yet ? 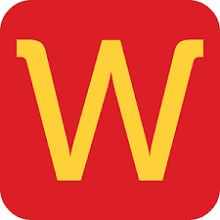 when are you posting word savant answers!? I’m stuck on virtuoso level 1 tv.Have found crime and stunt. 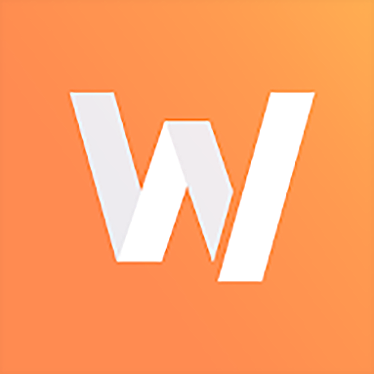 Stuck on word virtuoso level 3! Can you help with level 5?I’ve got plasma,television and show. Anyone completed level 3 landscapes? Level 4 bow brooch pouch then I’m stuck!! It looks like I should be able to get fascinator but I’m not sure. .. Stuck on food level 3 word genius!Help appreciated.I know biscuit is in there. Stuck on Food word genius level 1.have kebab and chorizo. im stuck also, any help? Macaroni,milk.herbs level 2 are the last three in food. Anyone on in the morning level 3.I have weekday,sunrise and can’t proceed. Now I’m stuck on level 5.I have energy and lazy. Can you please confirm for me that instruments level 5 has 4 letter S’s? On my game i only have 3 avaliable. Sorry i mean… instruments level 1. Stuck on level 1 word Jedi research.First word division and then I can’t proceed. Research level 2.Where to after paper? I’m also stuck but so far I have paper report equation lab law. Em I’m stuck on building level one if you could help me out? Great job! Surely we’ll be able to get it now! Anyone got any answers to cleaning? I’m stuck!! Tesla. I think that’s all of them. 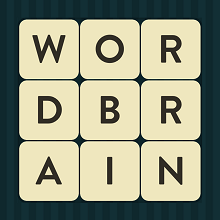 Have you got 9 and 8 letter words in research level 4? improvement,ohm.Any help with level 5 appreciated.I have fossil,school and biology. Anyone done level 2 buildings I have industrial,greenhouse and gazebo thenI’m stuck! Have got courthouse and brownstone and asylum and I think gallery might be in there. Countries level 5 please! !!!!! 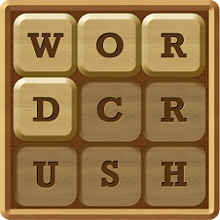 Games level scrabble,pinball,level,score and what is the 11 letter word? Himdo you have the answer to emotions level 2 also? Does anyone know games level 1?I have scrabble,pinball,level and score.Thanks. Ahhhhh emotions level 3 is driving me mental! I know all the words I just can’t get then in the right order! !!!!!!! Does anyone know the answers to emotions level 4 please all i figured out so far is grumpy. I’m on mastermind level one and need help beyond scrabble,pinball.level and score. Finally solved mastermind level 1 games. Scrabble,pinball,participant. level,trivia,score, console.Level 2 I have monopoly and competition.Still working on the rest.Frances. Yes I am stuck also.Have computer and puzzle! Storyteller is in there too. Thanks Leonor.Have you done level 5? Can I have solution to level 4 human body, I only have bicep eyebrow shoulder and ankle?. Level 1 Scrabble,pinball, participant.level, trivia,score,console. Have you got games level 5 yet? Thanks Leonor, a great help! The mastermind sports levels (2 and up) are driving me crazy. Has anyone got the answers? Super mastermind level 4 in the air? Thankyou, it was satellite and rocket stopping me from getting bumblebee..
I’m stuck on word expert, energy level 3 🙁 please help! Im super stuck on in the air level 4 ive only manage to find zeppelin, drone, blimp and bat. Can someone help me with the rest. Megabat airship zeppelin bat blimp drone rotorcraft crow – extremely difficult! This is the order I did them-learning assignment grade exam graduate lecture science. Level 2 in the city roads architecture people restaurant statues landmarks. Level 3 shopping storekeeper inventory spree market cash wallet galleria. Congratulations Alice.. so good! It gets really hard near the end! I finished too,Alice.It does get hard! I too have now finished all levels in all themes and categories..
Yay! I think this is a really great game.. much better than the original, and much better than Wordup! 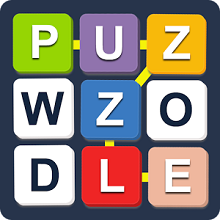 Have a look at Word Puzzle by Fun Lab here: https://play.google.com/store/apps/details?id=com.funlab.wordpuzzle . I am currently getting the answers together for it. It is similar but slightly different. Maybe not as good… but close. Simone, It looks like they just released an update, May 4, that looks like it fixes the problem of not being able to get back in after finishing all levels. They also added a “% who have completed” for each level. yay i have finally finished them all! I can not get past Wizard Movies level one. I know all the words, just not the order. Shauna, please post a comment on the page for Wizard Movies 1 and someone will help. 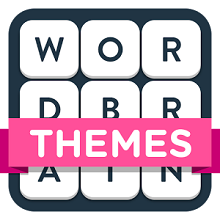 http://gamehelp.guru/answers-tips-cheats/wordbrain-themes-word-wizard-movies-level-1-answer/. Are your letters the same as ours on that page? The order of the words is exactly as we have ordered them on that page. Let me know if you still have an issue and I will give you more guidance. So, I just finished the last of the Word Super Mastermind levels, and when I went back to look at something, it wouldn’t let me access any levels at all. Kinda weird. I imagine this must have been what Simone Endicott must have meant in her April 7 comment. I just reported it–maybe they’ll fix it eventually. 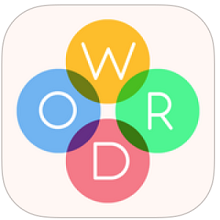 In other news, anybody else completely unimpressed by the level in Word Mastermind Sports that has 4 letters MISSING? I mean, yeah, the words they want only need a total of 45 letters out of a 49-letter grid, but part of the point is that they’re supposed to start us with a full grid. Combined with the two levels that have blank tiles in them, it seems a hair cheesy. At least the rest of the levels provide a decent challenge (once you get past about the 5x5s, anyway). Hi Russell, good comments. I agree, the 4 letters missing was dodgy! What order do you solve the Word Masternind Sports Level 2 with the 4 tikes missing? I can’t seem to sve this puzzle. So I’m stuck on Word Wizard, Movies, Level 1. I know all the words but can’t get them peeled off to get camera. I can’t get trailer without getting cinema and can’t get camera without peeling off sequel. Camera is left but the “r” is not touching the “a”. There is no other way to get genre without peeling off trailer. Three days later and I’m stumped. 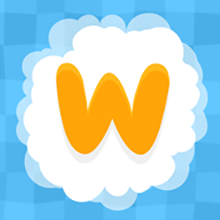 I have just finished Word Super Mastermind …do an update and Boom ..6 new levels!!!! Thanks Matt …. my brain is sad …from all the thinking! Anyone been able to figure out the sequence to word adventurer psychology level 3 yet? I know the answers, just can’t figure out how to get it to work. After I get attachment it makes me restart every time. 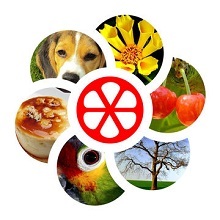 I’ve tried numerous different ways to get the words, but I’m stuck….. Motivation, Behavior, Drives are the rest of this levels words.